The Reginald Leather Arm Bracers are bracers cut for a warrior. These hand-crafted bracers feature a distinctive shape and form that, when worn, creates a sleek, streamlined look that is as attractive as it is effective. 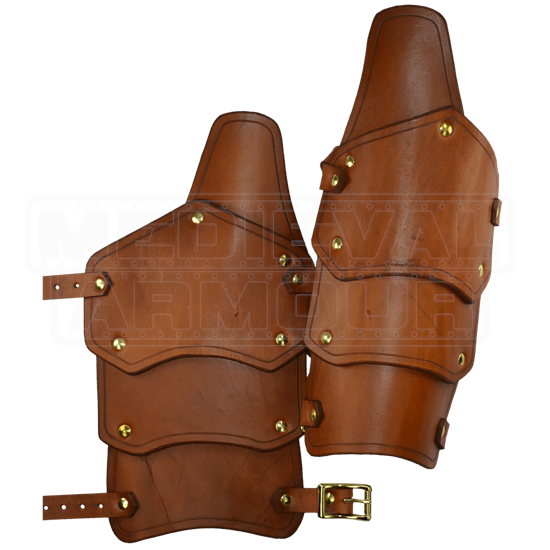 They are absolutely perfect for the warrior who wants a nice, quality pair of leather bracers to adorn his arms, whether they are for decoration and appearance, or whether they are to be used in actual combat, or at least recreational combat. 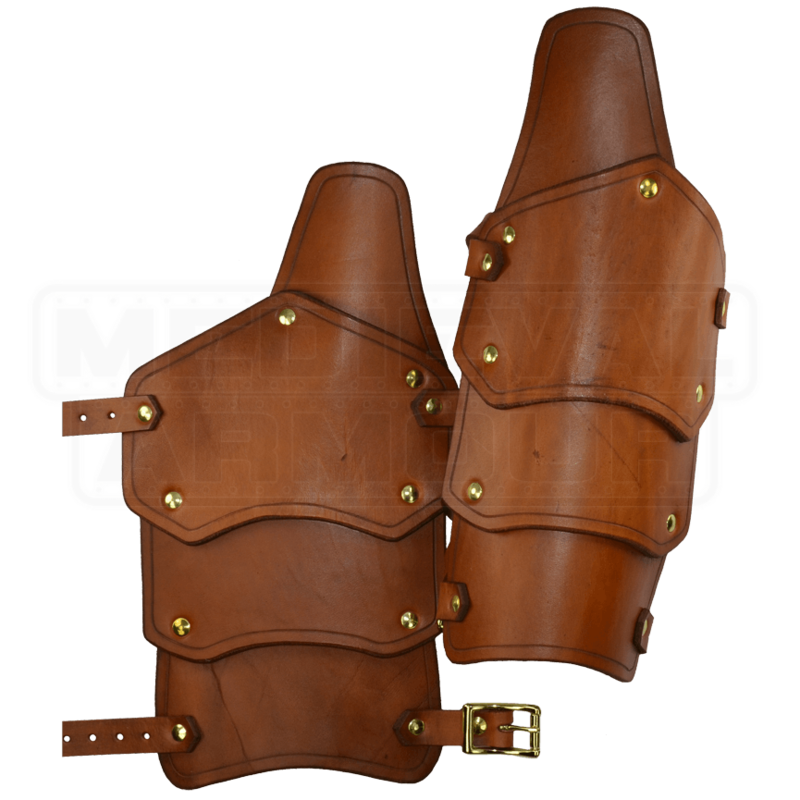 The Reginald Leather Arm Bracers are skillfully hand-made of top-quality 13/15 oz. 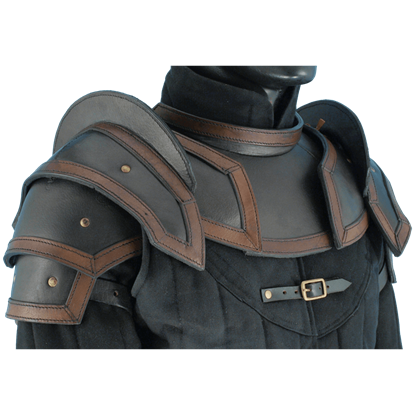 leather that is fantastically suited for use in bracers. They are sturdy and strong, yet extremely light. From the subtly curved look that the bracers create when worn to the overlapping leather plates that were used to make it, down even to the leather extension that juts from the back of the bracer. And they are an absolute snap to wear, featuring buckles and leather straps that wrap around the forearm in two places to keep the bracer comfortably fastened and totally secure. Need really cool bracers? It does not matter if you are a warrior, a rogue, a thief, an assassin, or anything else. If you need cool bracers, you need our Reginald Leather Arm Bracers.